When the counter-culture blossomed in the late 1960s, Joni Mitchell’s poetic tales of free men in Paris, buskers who played for free, and love — lost and found — raised the bar for folk music fans everywhere. In time, she would meld rock, jazz and world music into a sophisticated style that captured the world’s attention and several Grammy wins. Joni Mitchell was the soundtrack for a generation. 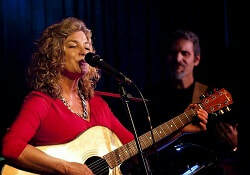 Now singer Kimberly Ford has created “A Celebration of Joni Mitchell,” a group of World Class musicians with a shared passion for Joni’s music. They perform beautifully nuanced versions of Joni’s quintessential classics from every decade of her career featuring memorable hits including “Chelsea Morning”, “The Circle Game”, “Free Man In Paris”, “Both Sides Now, and many more. This band does something that makes people feel good. ​No convenience fees – Save time later – buy online now.